Welcome to itsPH blog. This is Prakash Hegade. That’s how the blog gets its name. I am blogging since last six months as of Jan 5th 2015. It’s been a lovely journey. Here I am starting the Blogging course to make the journey more meaningful. A more official introduction can be found in ABOUT page! The idea is to link all the course related assignments to this page. The first one still remains here! Assignment #01: write and publish a “who I am and why I’m here” post. I have started writing two novels in past six months. One is completed. It’s a love story called: Today Calls Tomorrow and second one started on Jan 01 called: That’s How I Tell My Story. There I complete my first scribble. Welcome people ! Well, this is the post i did for assignment one. It was fun! Here is the link: Assignment 01 and its recursive! Completed the assignment with a simple small poem. As my blog tagline says, its “the daily reads and writes”, its open for everyone. The poem can be found here: The Crazy Dream Reader. The task was to write something of our own interest. I decided to go for writing a short story. At the same time saw a challenge in IndiBlogger and decided to do a two-in-one task. It turned out to be this one: House Becomes Home! and one of my favorite writes! Added a few widgets and improvised my About page. Well, it’s a never ending process and will keep improving it. Added a few widgets as well customized one for my novel. Changed the background color and the target is to have a good header image. It will definitely take time to get one with theme, but definitely on to it. 1. Mama Cormier – It’s a blog with every kind of writing. Its an example of versatility. I found awesome photography, stories, inspirations, poems, art, culture almost everything. Liked a few articles and left few comments. Something which i picked up was the concept of “small stones!”. If you are reading this, you should also definitely check out this blog! 2. Don’t Get Wasted – Mission Accomplished! I don’t know from where he gets all the creative ideas of writing. They are more than worth a read! Enjoyed reading a few articles. I would be back soon to read more. 3. Being in 2000 Something – The blog is started since Jan 1, 2015. There are already some great posts! Enjoyed reading them. They connect to the reader quick. 4. the TJ Blog – Fun to read and sharpness in writing. I read a few articles and thoroughly enjoyed them. With large pictures and text, it keeps the interest of the reader on go. The task is to write a post that builds on one of the comments left in previous assignment. I would go for a “small stone!”. Add and customize the text and image widgets – done and check! Second weekend i opted to rest and check out some other blogs. Well, i did. Assignment 11: Personalized take on Daily Prompt. I just looked at the prompt on Jan 20, 2015. It said about “A Moment in Time“. I took one of my favorite snaps and made a small post on it. Loved writing it and cherished the old memories. Here is the Post! I do have a blogs i follow widget added! Idea is explore all the templates available. I have posted my posts around my blog with every possible format available. 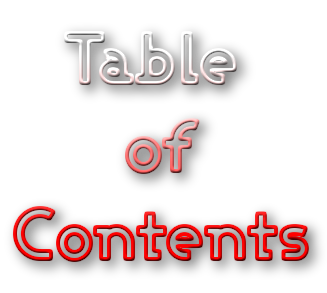 Today i am confident on picking right template for the pages and posts i publish. Opened the customizer and tried various fonts and colors available with the theme. This weekend i decided to write something. My last lecture at college was about learning through uncertainty. So, i had decided to write something about uncertainty. I piked up all the synonyms and made a poem out of it. My blog is publicized with twitter and linked-in. I also have a Facebook page for my novel. Added a new CONTACT page! Funny that though i have created many pages earlier, had missed a contact page. This was interesting. I wanted to try something new and hence redirected myself to ongoing challenges. I picked up Post a Signpost Challenge. My submission and details of the assignment can be found in the post HERE. I created a small image logo called “it’s PH” using a free online logo editor and added it as a image widget to main side bar. For now i want to keep it as regular posts at my free time, which is a easy permit from my current work schedule! 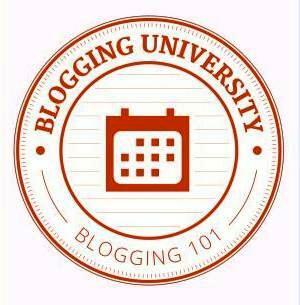 Thank you to BLOGGING101 team for this awesome course. Your header is so beautiful. I like the way you split up your postings and your posting format. You have really put a lot of time and thought into learning how to build a great website. I expect great things from you! Ill be back to read the other works you posted.